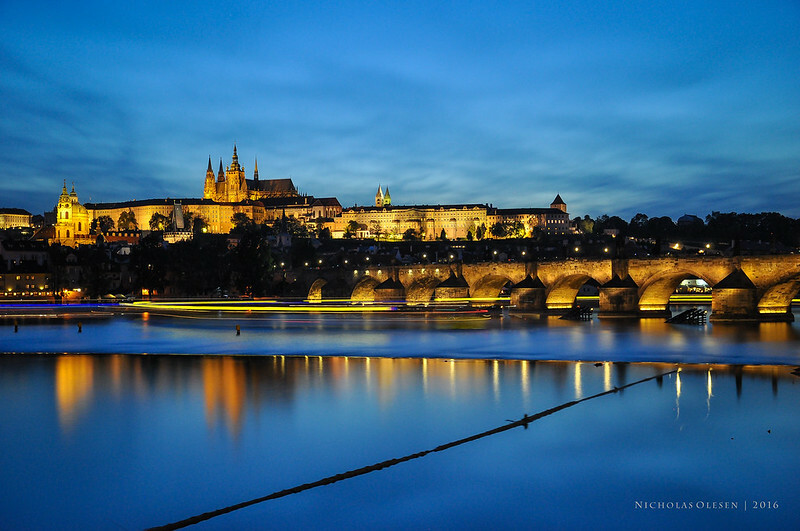 A view of Prague’s beautiful castle and Charles Bridge, reflected in the Vltava River, taken during the evening blue hour. Shot with a Hoya NDX400 filter and a 2 minute exposure. 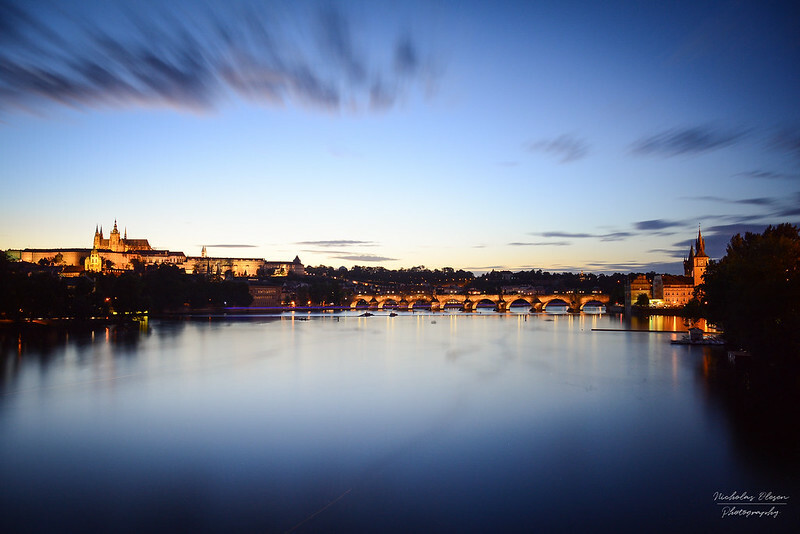 Who could say no to a weekend in Prague?? Certainly not me! And this weekend was perfect weather-wise – sunny and high 20s (Celsius, obviously!) 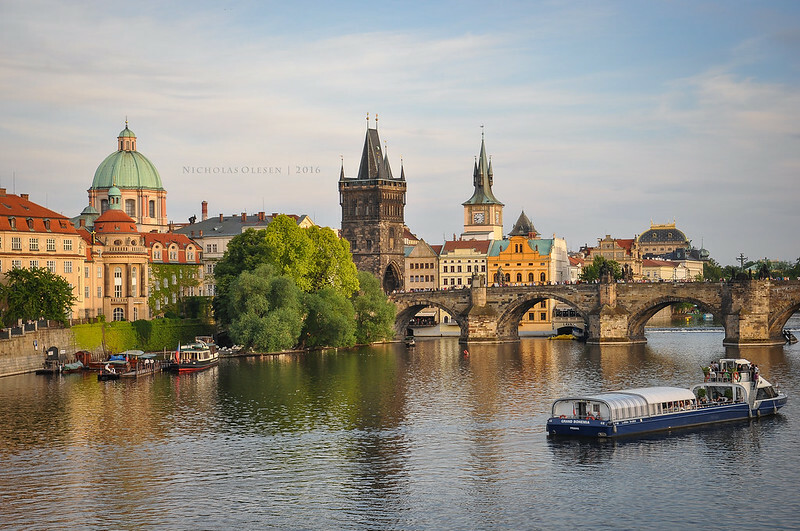 This is a shot of Charles Bridge and the Vltava River.